Apple has announced that its West Towne Mall retail store in Madison, Wisconsin will be moving to the nearby Hilldale Shopping Center tomorrow. 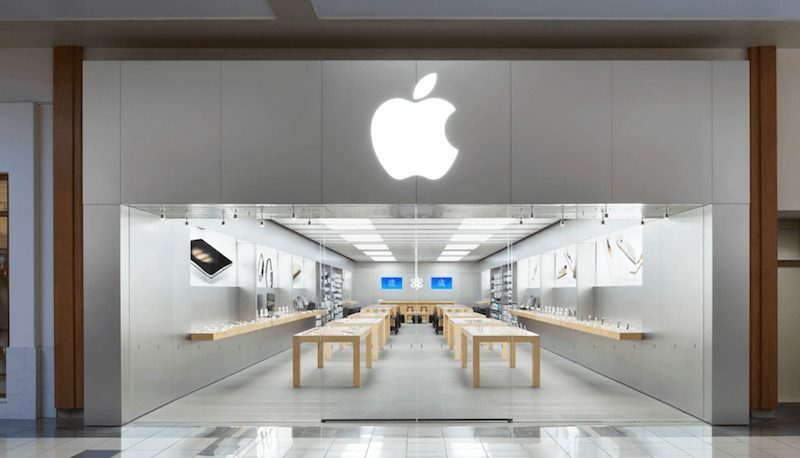 Apple Hilldale's grand opening will take place Saturday, August 12 at 10:00 a.m. local time. Apple West Towne will permanently close tonight. West Towne Mall has been home to Madison's only Apple retail store since July 2007. Apple's two other retail stores in Wisconsin are located in the Milwaukee suburbs of Glendale and Wauwatosa. The new Hilldale store will be much larger than the West Towne location, a welcomed change for both employees and customers. The store should also feature Apple's newer retail design introduced in 2015. Apple's financial chief Luca Maestri recently said Apple collectively welcomed over 300 million visitors to its retail stores last quarter. "It was a very busy quarter for our online and retail stores, which collectively welcomed over 300 million visitors," he said. "In addition to our spectacular new store at the Dubai Mall, we opened our first stores in Singapore and in Taiwan during the quarter, expanding our total store footprint to 497 stores." "In May, we kicked off Today at Apple, with new in-store programming from music to photography to art and coding, and our stores collectively hosted 87,000 sessions during the quarter," he added. "We have entered a new chapter in retail, with unique and rewarding experiences for our customers." Apple WestQuay in Southampton, UK also moves to a larger location down the hall in the shopping center on Saturday. I live in the area so stopped by to see the new location. Here’s a photo of the front at sunset. Now please open one in Appleton. Just the city's name itself deserves a store! I used to live a few blocks from Hilldale, and loved shopping there. But that was 20+ years ago when it was a well curated manageably sized mall with a small Marshall Fields as the main mass retailer and a grocery store as the other - so you actually had good reasons to go there on a regular basis. It's now become something entirely different, which I guess is what happens and is better than being an old dying mall on the outskirts of town, as is happening with a lot of them. Agreed, although I will miss the West Towne Location. I have many fond memories waiting in the line that stretched all the way through the mall and out the foodcourt doors when the store first opened, and in line for several OSX launches. That was a long time ago though. 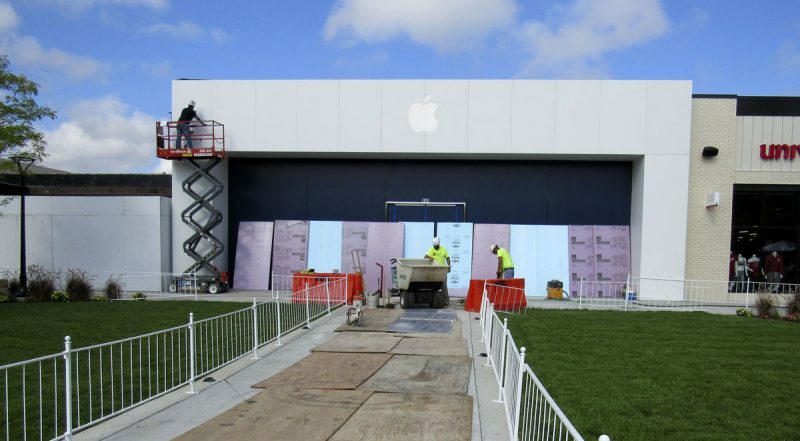 Remember when apple fans would flock to new store openings? Looks like it’s a lot closer to the university of Wisconsin too. This makes sense. Is that mall dying? I know a lot of the malls around here died. the anchor stores of Sears and JCPenney aren't doing well (supposedly). I'm not sure as to the rest of the stores in it though...the parking lot seems packed most evenings and weekends. Or Green Bay. I'd love to see this. Madison and Milwaukee are a long ways to go. Most students get their Mac gear at the UW DoIT department on campus at a slight discount. That said, West Towne isn't going to last much longer without the Apple Store. I went there the other day, and I'm pretty sure there were more people in the Apple Store than the rest of the mall combined. About time! The west towne location was always overcrowded..